Is your bathroom in need of an upgrade? 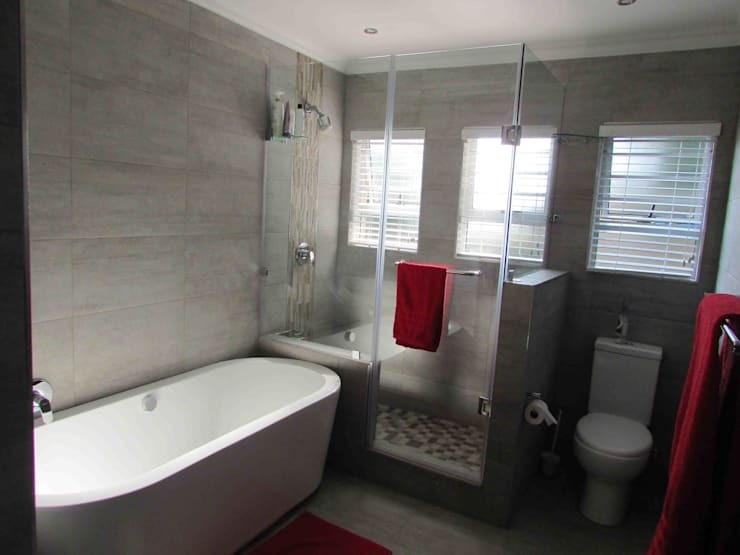 Well, then think clean lines, sultry colours and of course a few rustic touches here and there in your South African bathroom. These 7 pictures are perfectly inspirational, especially if its bathroom decor you're after. Consider your lighting choice carefully, and don't forget to include storage and stylish fixtures and fittings. Let's take a look for hints and tips to suit your home. 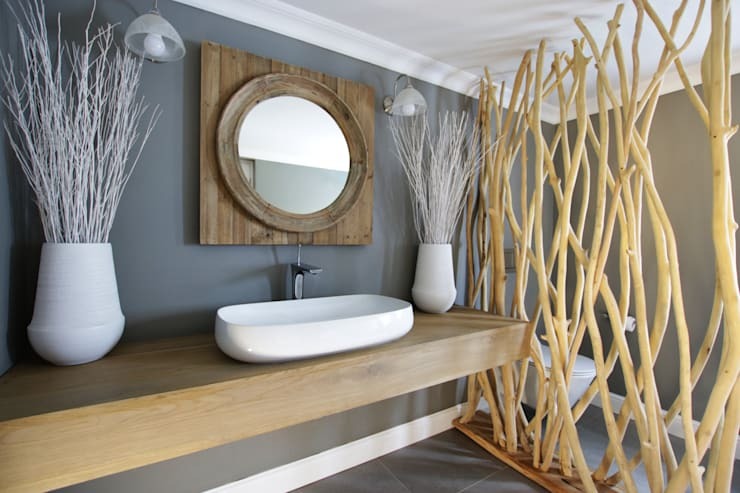 How about a wooden divider to separate a spacious bathroom? Create your own by trimming those young branches in the yard and giving them a good coat of varnish. 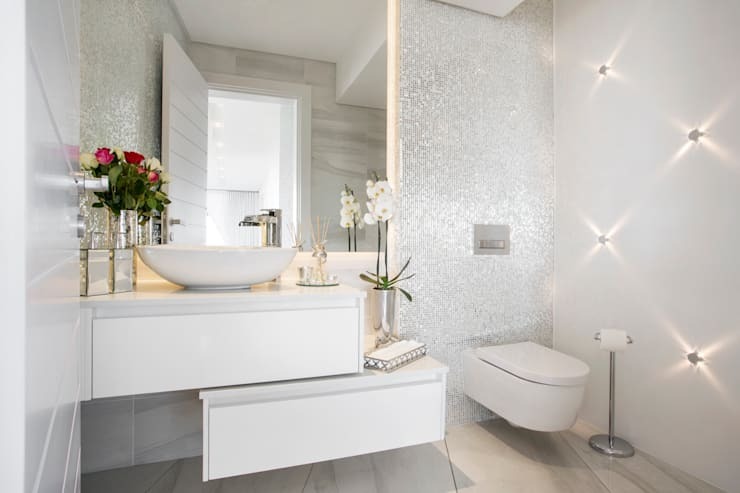 LED lights behind your mirrors are essential to for perfect make-up application, while adding a modern elegance to the bathroom too. 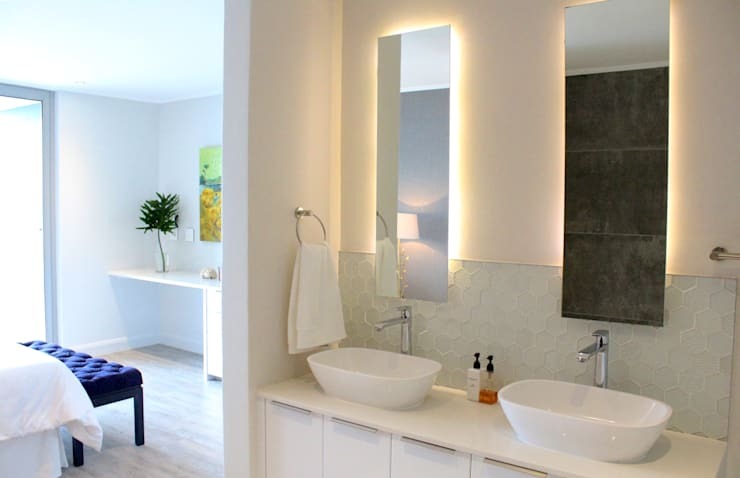 Grey is great for a bathroom colour scheme. It allows the space to be altered and adapted as the mood seems fit, from the vibrant to the neutral. This bathroom is awesome! You may be a loving couple, but it's the small fights that matter most. 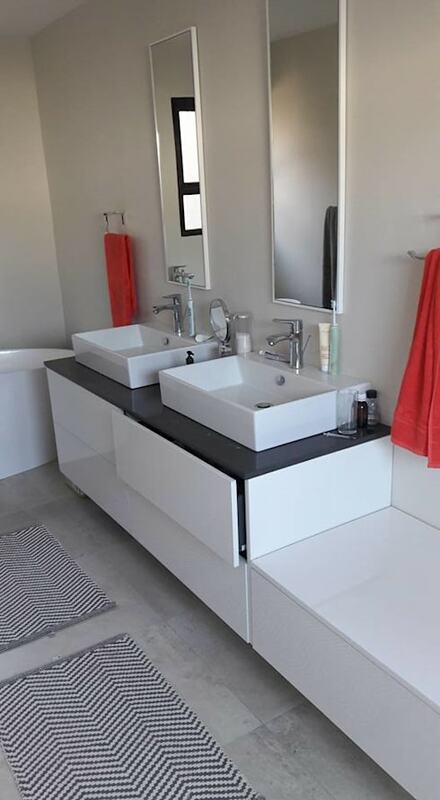 Avoid a fight over space at the sink by including a double basin into the design. Fresh, fascinating and fantastic. 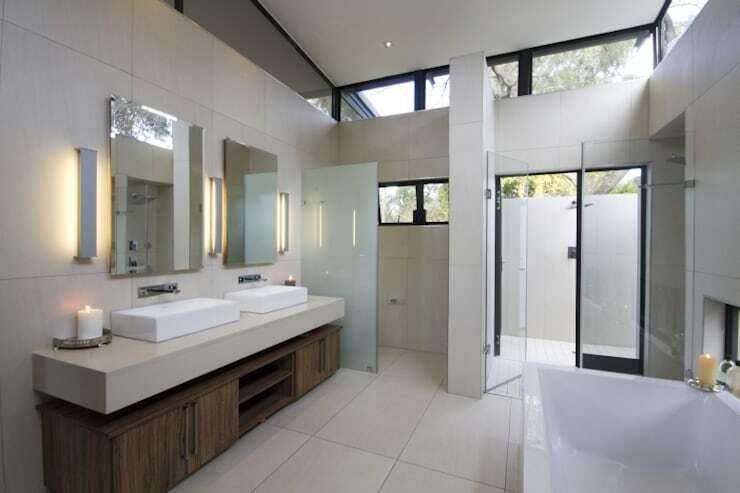 That's the epitome of this brilliant bathroom design, colour and layout. Wooden draws are awesome for storing all your bathroom must-haves. You'll never have to search for those toiletries again. 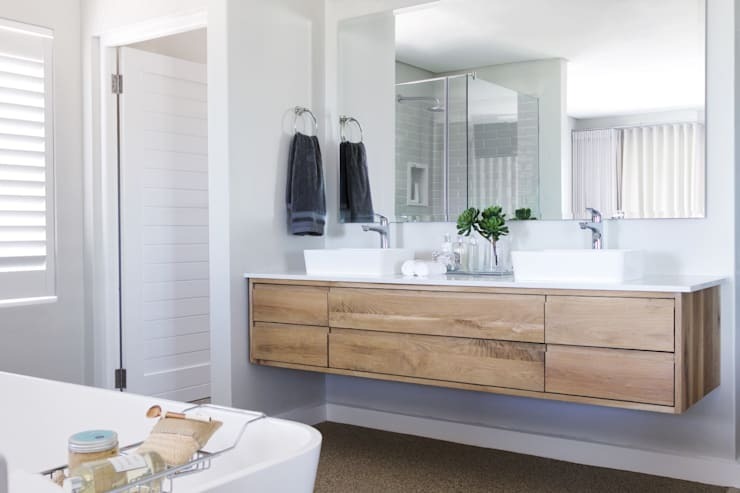 All-white fixtures and fittings, wooden storage and plenty of natural light… this is a simple bathroom with timeless yet trendy style that should make an ideal for a large, growing family. How about these 7 simple tricks to make your bathroom look more expensive? How have you decorated your bathroom?